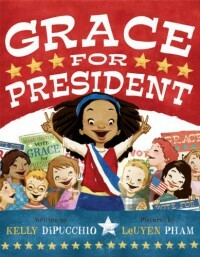 Grace for President is one of the cutest books I've ever read. It is all about a little girl named Grace who doesn't understand why there has never been a female president before, so when the grade has an election or 'president' she quickly nominates herself as a candidate. A boy who is quite popular also is nominated from another class and this makes Grace nervous about her chances of winning the election. She begins to work very hard campaigning and eventually she wins the election! 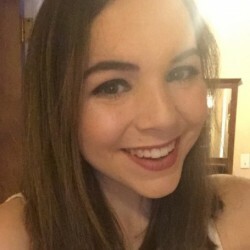 She decides that one day she is going to run for president. This book was so cute and gives a child friendly look into the process of a presidential election, right down to the electoral votes from each state (each student was assigned a state to represent in the elections) This book would be great for an older grade classroom who is studying how an election works.